American Boy! Coitus 5 is here! 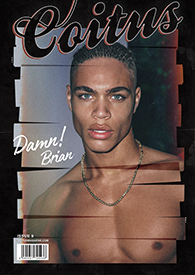 Coitus is back with a celebration of summer and the iconic American boy! Three covers celebrating the essence and vibe of Coitus! We would also like to thank you for the support you have been giving us and allowing an independent magazine keep going strong! Coitus issue 5 “American Boy” sneak peek!